You’ve invested a lot in your home. The last thing that you want to see is a problem with your foundation lead to greater concerns down the road. Unfortunately, when not caught early, that’s exactly what can happen. What may start as a minor issue can become quite serious—quite quickly. After all, foundation problems are a big deal. But they can also be resolved rather painlessly when dealt with promptly. Being on the lookout for problems early on can save you time, money, and headaches in your future. 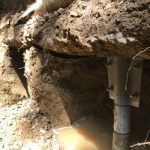 That’s why we’ve rounded up a list of 5 common signs that you may need foundation piers. 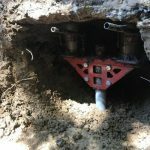 Piering, also known as underpinning, involves driving steel legs (or “piers”) underneath your foundation to act as supports. 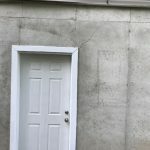 This method is often able to restore your foundation to its original place. At the very least, it will stop it from sinking further. If you have any of these 5 following things happening at your home, it’s worth a free evaluation by a foundation expert to see whether piering might be right for you. 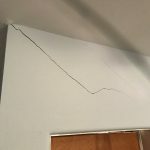 This one may not come as any big surprise considering most homeowners associate cracks with a foundation problem. 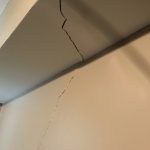 Cracks due to foundation settlement are common in homes with a concrete slab foundation or that are built with a pier and beam foundation. 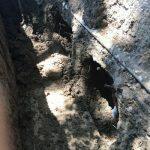 If you have small cracks, it’s probably not a concern but is at least worth a free evaluation to be sure. After all, cracks that do require attention can grow larger quite rapidly and need to be addressed quickly. 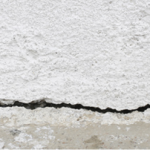 Outside cracks are also a concern and may be a telltale sign that there’s something wrong with your foundation. 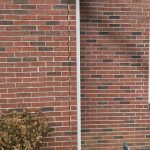 Cracks in brick or block walls tend to follow mortar joints and therefore present a zig-zag pattern. 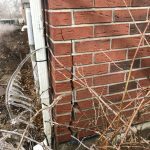 Of course, if your foundation is cracked and sinking vertically then you may also notice horizontal cracks across your bricks or blocks as well. Believe it or not, evidence of a problem with your foundation can start with your doors and windows. Stuck and hard-to-open doors and windows, or those that have gaps at the top and bottom, can indicate that your foundation is sinking. This is because the earth around your home expands when it’s wet and shrinks as it dries out. When this happens, it can cause the foundation to sink. In turn, it warps the wood framing that supports your doors and windows, making them difficult to open. 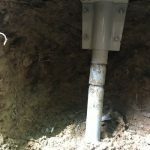 Foundation piers can be used to solve settlement issues and to restore the home to its original place so that doors and windows can function properly again. 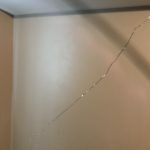 Cracks in your crown molding or even a gap that has formed between the crown molding the ceiling can also indicate that you have a problem with your foundation. 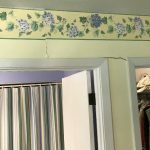 Filling this gap with some caulk is only a cosmetic solution that won’t address the underlying foundation concern. If you truly do have a foundation problem, the installation of a steel pier system can resolve it. 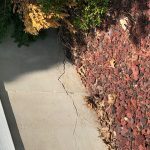 Cracks in a tile floor are another sign that you might have a foundation problem to address. As your foundation shifts or sinks, it can lead to hairline cracks in a tile floor that will grow longer and wider in time. Even if you don’t have a tile floor and therefore aren’t noticing cracking, you might still find that your floors feel uneven. A pier installation would stabilize the home and make your floors even again. A foundation problem leading to one (or more) of the problems mentioned above may be able to be solved by piering. At Adams Foundation Repair & Waterproofing, we work with Grip-Tite to provide a successful pier solution for your foundation repair. Grip-Tite uses the weight of your structure to hydraulically drive the piers into the bedrock. Unlike other piering methods, it does not damage your foundation’s original footing. If you have any suspicion that something could be wrong with your foundation, don’t hesitate to give us a call. The longer you wait, the larger the problem could grow. Fortunately, there are solutions out there for the proactive homeowner who wants to protect the value of their home.